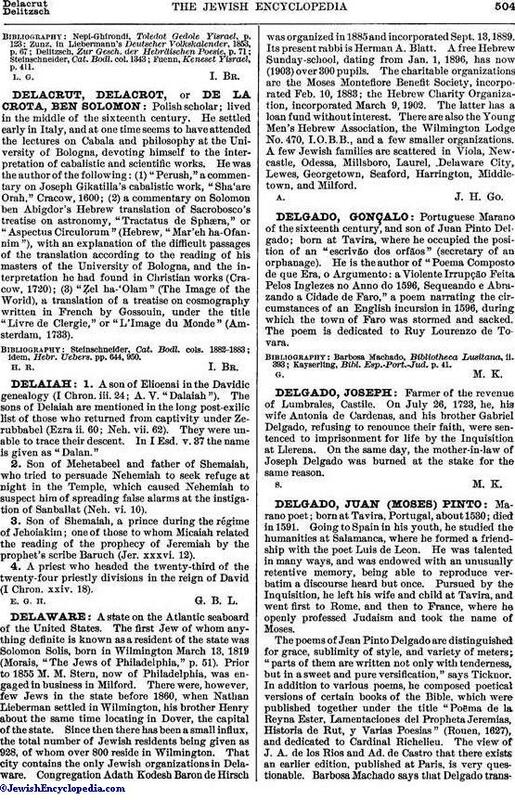 Italian rabbi; born about 1618; died at Ferrara April 2, 1678. Together with Menahem Recanati he signed a halakic decision on the remission of debts in the jubilee year, which decision is cited in "Paḥad Yiẓḥaḳ" by Isaac Lampronti, who counts Del Bene among the greatest Talmudical authorities of the time. Del Bene wrote "Kis'ot le-Bet Dawid" (Thrones of the House of David), Verona, 1646. 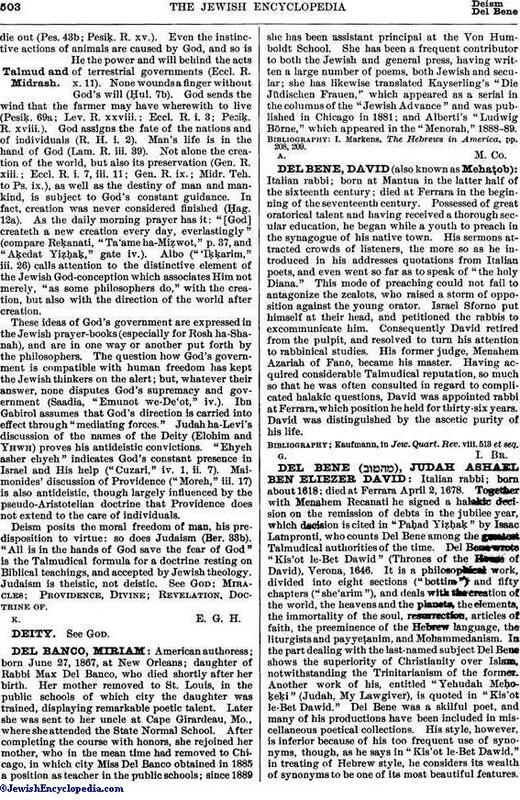 It is a philosophical work, divided into eight sections ("bottim") and fifty chapters ("she'arim"), and deals with the creation of the world, the heavens and the planets, the elements, the immortality of the soul, resurrection, articles of faith, the preeminence of the Hebrew language, the liturgists and payyeṭanim, and Mohammedanism. In the part dealing with the last-named subject Del Bene shows the superiority of Christianity over Islam, notwithstanding the Trinitarianism of the former. Another work of his, entitled "Yehudah Meḥoḳeḳi" (Judah, My Lawgiver), is quoted in "Kis'ot le-Bet Dawid." Del Bene was a skilful poet, and many of his productions have been included in miscellaneous poetical collections. His style, however, is inferior because of his too frequent use of synonyms, though, as he says in "Kis'ot le-Bet Dawid," in treating of Hebrew style, he considers its wealth of synonyms to be one of its most beautiful features. Fuenn, Keneset Yisrael, p. 411.